Conservation success stories reveal just how much of a difference we can make and offers hope for continued success. 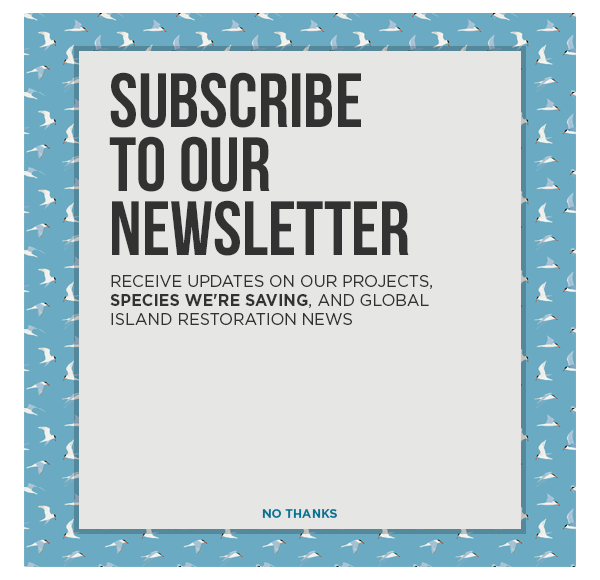 Learn about just a few of the incredible success stories that Island Conservation, our partners, and conservationists around the world have accomplished. For far too long the invasive species issue has been plague by a belief that this challenge is too logistically difficult, too biologically complex, too expensive to address. This perspective has undermined political and public will. It has enabled small problems to become big problems with costly consequences. But time and time again, we have proven that we can do this – we can reduce the risks and impacts of invasive species by deciding to protect what matters and by working together—across all lines of jurisdiction—to do so. We’ve also demonstrated that we can make game changing advances in the prevention, eradication, and control in invasive species through investments in science and technology. We are solving what were believed to be unsolvable problems. We are changing the story by telling our stories—stories of our successes. Conservation success on Hawadax Island, formerly known as Rat Island, Alaska, is just one of the incredible stories of restoration efforts making a real difference in protecting native and endangered species. After a successful project to remove invasive species from Hawadax, native seabirds returned to the island at astounding rates and species never seen before on the island came to nest. Stories such as Hawadax give conservationists a sense of hope for the future of endangered species.